His new self-titled album is due out on June 21, 2011 and marks a highly anticipated return to solo work. It features 12 blistering tracks of MacAlpine on 7 and 8-stringed guitars, keyboards, bass and programming, along with appearances from drum legends Virgil Donati and Marco Minnemann. 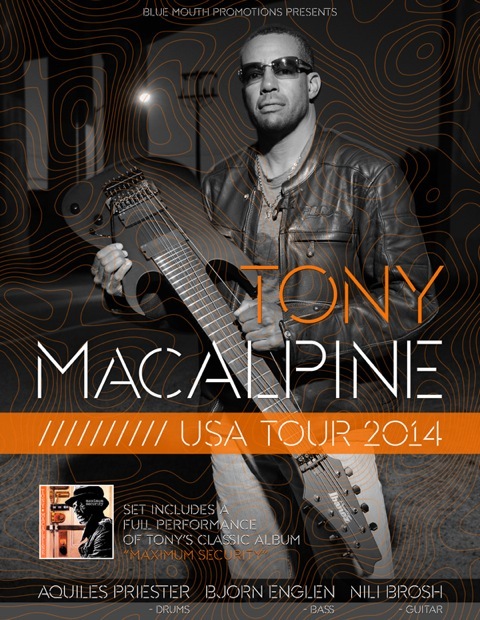 Described by MacAlpine as his best work to date, the album is destined to again set the bar for guitarists everywhere.